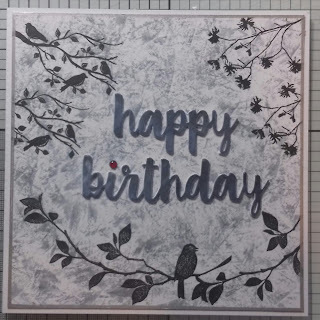 Here I have used an embossing Folder for the white Background and then sprayed the folder with inks and water and dabbed a piece of card on to it to pick up the pattern. 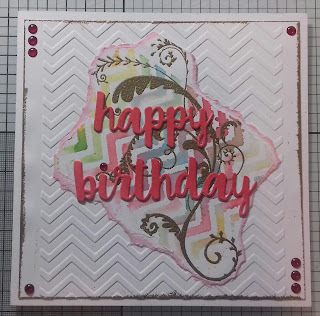 This background is made with a Baby Wipe that wiped up my mess on the glass mat then dabbed the baby wipe over a piece of card. 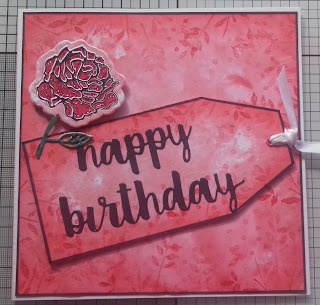 Here I have a messy background and tag and stamped around using the same colour. Die rose is a free one from a magazine. Happy Birthday words are from My Favourite Things.